with similar climates, or modified for other areas. Buy bareroot roses and plant them soon. Soak the roses overnight to rehydrate them. Toss a handful of superphosphate into each planting hole. Fill in with a blend of natural soil and mulch or planter mix. Prune your roses by at least one-half in height, thin out twiggy growth, and remove all foliage. All your rose pruning should be completed by the end of January. After rose pruning, apply a dormant spray on your roses to help prevent diseases and insects. After pruning, give your established rose bushes 1/4 cup of dry granular fertilizer, then water in well. Roses will benefit from a good quality, well-aged mulch. Apply a thick layer around each rose bush. Pruning, planting, dormant spraying, and mulching of your roses must be completed by the middle of the February before the weather starts to warm. It's time to finalize all the details in preparation of a great rose growing year. 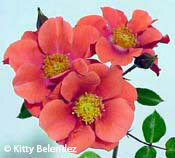 Roses will like an application of fish emulsion (5-1-1) around mid-February. Then two weeks later apply one cup of alfalfa pellets around each bush (1/2 cup for miniatures) and water in well. You may begin to see aphids and mildew on your roses at the end of February. Mildew is much easier to prevent than to get rid of after the roses have it. But you only need to spray for aphids when you see them. The first application of insecticide and fungicide should be sprayed at half strength to avoid spray burn on the new and tender foliage. Carefully read the directions on all labels, and wear protective clothing. Organic gardeners might try to control pests with daily washing of the foliage. Your roses will begin to leaf out nicely, so they will benefit from an application of general purpose fertilizer to keep the foliage green and lively. Apply Grow-More 20-20-20 (first week in March). If you choose to use a fungicide to prevent mildew on your roses, it will need to be sprayed every 7 to 10 days. Use as directed on the product label. Or wash off the mildew spores with water in the morning and let dry. If you start to see aphids on your rose blooms, you may want to dig your sprayer out of storage. Aphids love to chew on roses. Spray with your insecticide of choice, or wash down with a hard stream of water. Spider mites are no bigger than a grain of salt and can be barely seen with the naked eye. In fact, if you look on the back of the rose foliage, spider mites look like salt and pepper. Spider mites can be prevented with daily washing of the foliage on the undersides with a water wand, or by using a miticide. During this peak blooming season, feed weekly with rotated feedings of Fish Emulsion and water solubles like Grow More or Dr. Earth. At month-end feed your roses iron chelate (for dark green foliage), zinc (for bloom color), and Epsom salts. For many years I've been foliar feeding my roses with a clarified liquid seaweed product called Response. It makes the foliage look beautiful. If needed, spray roses every 7 to 10 days with a fungicide for mildew, according to the product label. When you see aphids, it's time to spray with an insecticide. Spray the roses in early morning to avoid leaf burn, and before the wind kicks up (to avoid getting chemicals in your face). Miniature roses are especially susceptible to spider mites. IWash the foliage daily, especially the undersides to keep spider mites under control. Don't be afraid to wash all your roses thoroughly with water. To ensure good rose blooms for the next cycle, we must now deadhead all spent blooms. It will take an average of 49 days for most roses to hit their next bloom cycle. Some roses will bloom sooner, and others will take longer to rebloom, sometimes up to 60 days for roses with many petals. Your roses will need a steady diet to produce lush foliage and more blooms. Roses are heavy feeders, and more so if they are grown in pots because the fertilizer will drain on through. Start with fish emulsion the 2nd week of May, and at the end of the month feed iron, epsom salts, zinc, and a teensy bit of SuperThrive. To encourage lots of bloom, apply a water-soluble fertilizer such as Grow More or Kelloggs or Dr. Earth. You may need to watch out for a few aphids, and especially for thrips which discolor the blooms and make them look dirty. If needed, apply insecticide according to directions on the label. Continue with monthly fertilizing. An application of Epsom salts, iron and SuperThrive at month end will really spiff up your rose bushes, and will get them prepared for the long, hot summer. Now would be a good time to apply a slow-release fertilizer such as Osmocote, which feeds for 90 days. 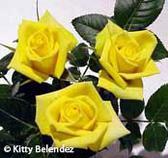 Apply fish emulsion to your roses around mid-month, one tablespoon mixed with one gallon of water. If you have more than 50 rose bushes, a siphon device (such as Syphonex or Hyponex) or a submersible pump is recommended for application. Later in the month, 1/2 cup of alfalfa pellets can be spread around each rosebush, a quarter cup for minis. I also apply liquid kelp (seaweed) on a regular basis. Dr. Earth, Kelloggs, and Grow More both have some terrific packaged organic products. Just lightly deadhead the old blooms off your rose bushes. The idea is to keep as much foliage as possible during the summer. The lush foliage will help to shade the plants and keep them cool. As you deadhead the blooms, be sure to clean up all the spent blooms and fallen leaves. Never use rose clippings for mulch because they harbor diseases. Roses need lots of water, especially in our hot, dry area. Daily watering during July and August may be needed. They love to be washed down from head to foot, and this will also help to prevent spider mites Get a Water Wand (it looks like a shower head with a long handle) from one of the local garden centers. Apply home-made mulch or bagged brands such as Dr. Earth, Kelloggs Gromulch, or E.B. Stone for extra protection from heat stress, plus it will provide nutrients. Around Labor Day it will be time to begin preparing your roses for the fall bloom cycle. If you lightly prune your roses, take off 1/3 of their height and thin out twiggy growth, you will have beautiful roses for the October bloom cycle. Lightly prune all of your roses for a big burst of colorful bloom during October. Do NOT strip off all the foliage like you would do for the hard winter prune, and only cut back about one-third of the height of each plant. As the weather begins to cool down, mildew may appear on your roses. Mildew is much easier to prevent than to try to get rid of it once you have it. Spray every 7 to 10 days with a fungicide (read the label for directions). When you see aphids, spray with an insecticide or hose them off. Begin feeding with rotations of fish emulsion, Epsom salts, iron, and a balanced rose fertilizer such as Grow More 10-30-20, Dr. Earth, or Kelloggs, or a granular product. A shot of SUPERthrive does wonders! 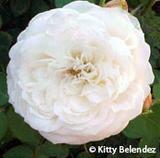 October will be the last time to fertilize your roses for the fall growing season. Use fertilizer that is especially formulated for roses. You can alternate with fish emulsion. A dose of iron, zinc, Epsom salts and SUPERthrive applied at the beginning of October will do wonders. Water your roses thoroughly before and after fertilizing. Mildew may appear during this time of year as the nights begin to cool down and the daytime may remain warm. A fungicide will keep mildew under control if sprayed weekly. You may also see aphids reappear. You may choose to use an insecticide to kill insects when they are visible, or pick the bugs off by hand. Make sure your roses are well watered at least four hours before spraying, to prevent burning of the foliage. Hot and dry Santa Ana winds can dehydrate your roses. Check sprinklers and drip emitters to make sure they are working properly. Start planning for growing better roses. Proper pruning, mulching, fertilizing, and watering should be an integral part of your plan. Start looking through rose catalogs and websites and make out your wish lists. We'll also have to make decisions as to which roses will need to be given up for adoption to make room for the new ones we just can't live without. Winter is the best time to repot roses that have become rootbound. Keep garden debris cleaned up to avoid overwintering of insects and fungus. Don't forget to water at least once a week if there is no rain. Get ready for January pruning. © Copyright Kitty Belendez, all rights reserved.